in the summer sun, bold. scattered, back to the field. 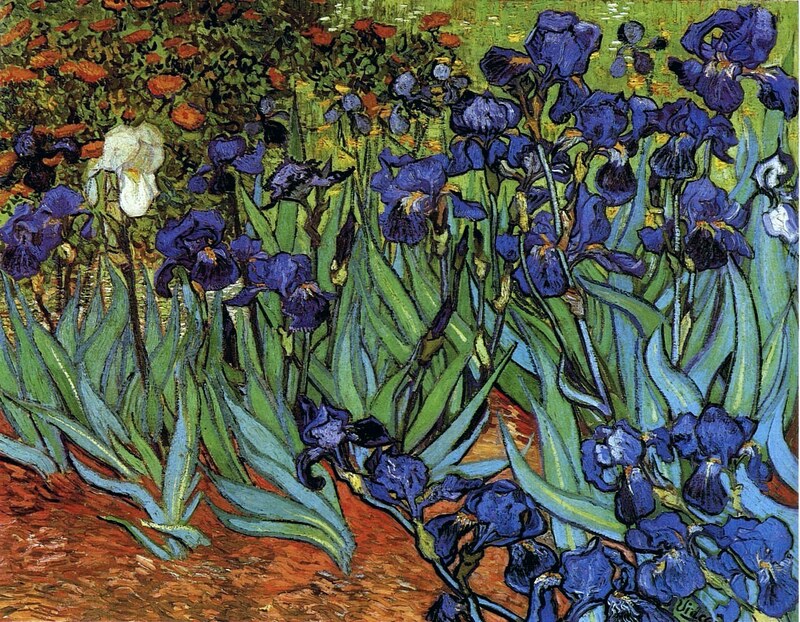 IMAGE: “Irises” by Vincent van Gogh (1889). ABOUT THE AUTHOR: Paula J. Lambert is the author of The Sudden Seduction of Gravity (Full/Crescent Press, 2012) and The Guilt That Gathers (Pudding House, 2009). A residency artist for the Ohio Arts Council Arts Learning Program, she has published her work in numerous journals and anthologies. She is a past recipient of an OAC Individual Artist Fellowship and was a resident fellow at the Virginia Center for Creative Arts. Her MFA is from Bowling Green State University. Lambert currently resides in Dublin, Ohio, with her husband Michael Perkins, with whom she operates Full/Crescent Press, a small but growing independent publisher of poetry books and broadsides. When I wrote the poem, I was not sure it was something I could send out–I thought of it as a sort of imaginative meditation and wasn’t sure it “worked” beyond that. I so appreciate the piece being shared here, and so appreciate the comments. Thank you.